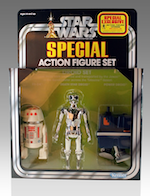 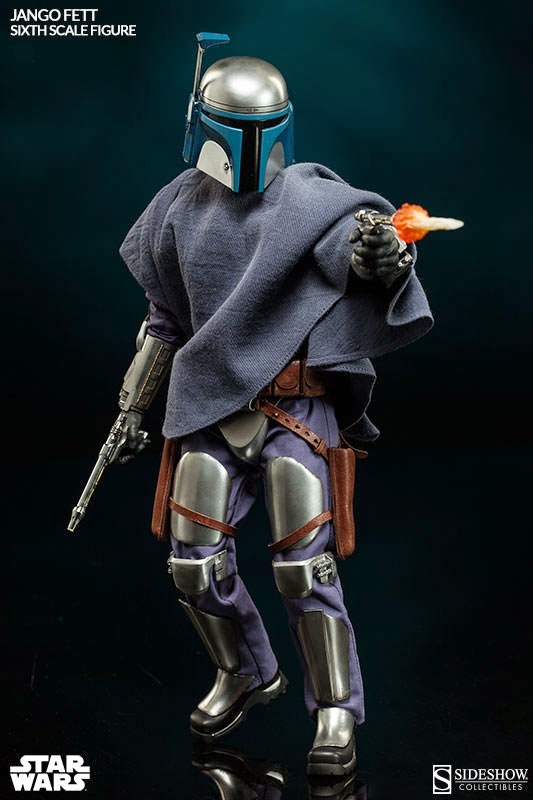 Sideshow Collectibles continues to amaze the fans with their Star Wars line. 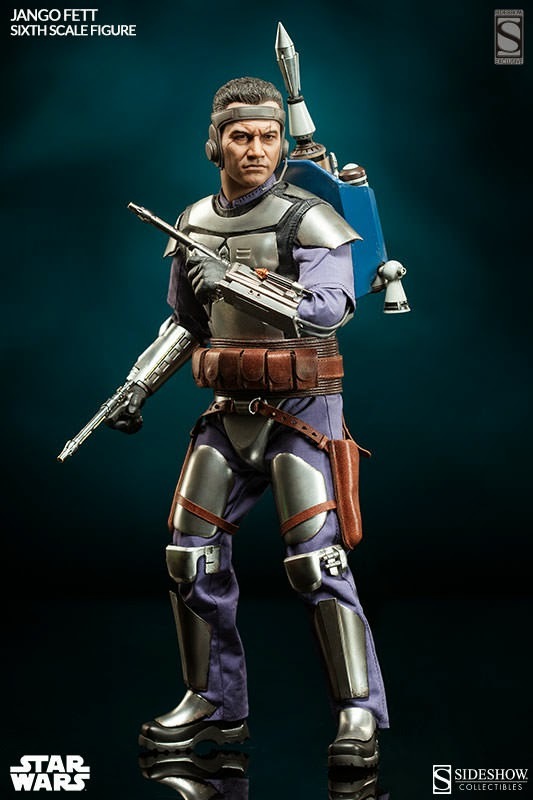 In celebrating May the 4th, Sideshow Collectibles is doing it big once again with another Sixth Scale release and this time it is Jango Fett. 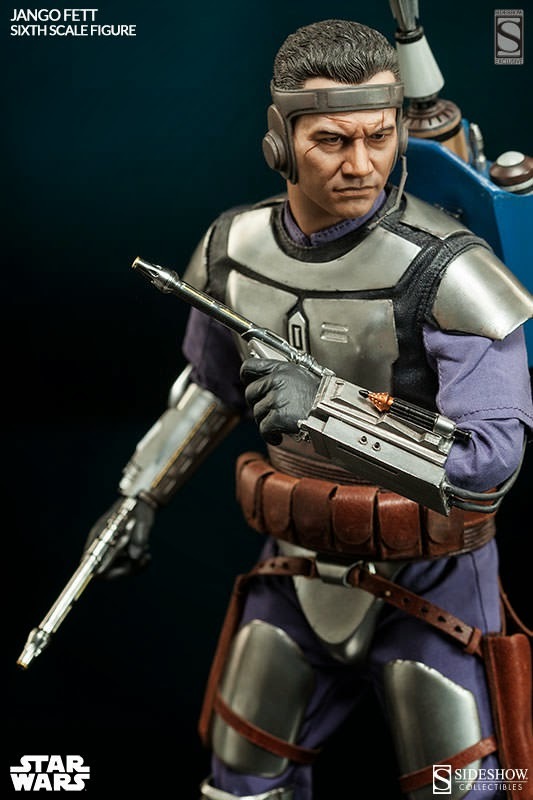 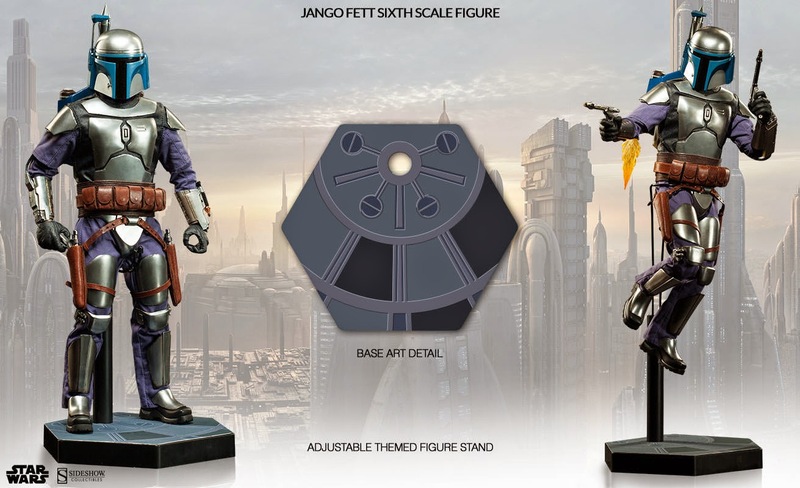 Joining the Star Wars Scum and Villainy collection, stage exciting showdowns from the final years of the Republic with the Sideshow Collectibles Jango Fett Sixth Scale Figure. 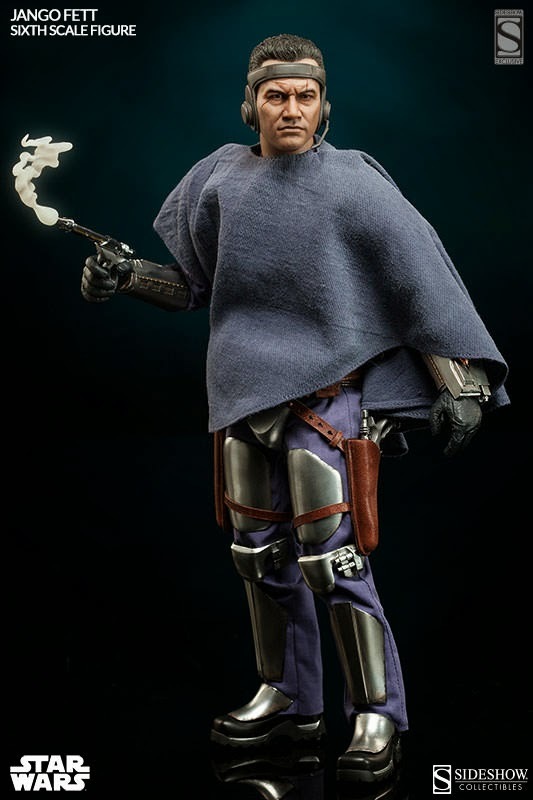 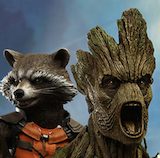 Boasting a reputation as the best bounty hunter in the galaxy, the expert mercenary is ready for hire decked out in a hand-tailored flight suit, layered belts with holsters and pouches, a hardshell armored vest, and western-style poncho. 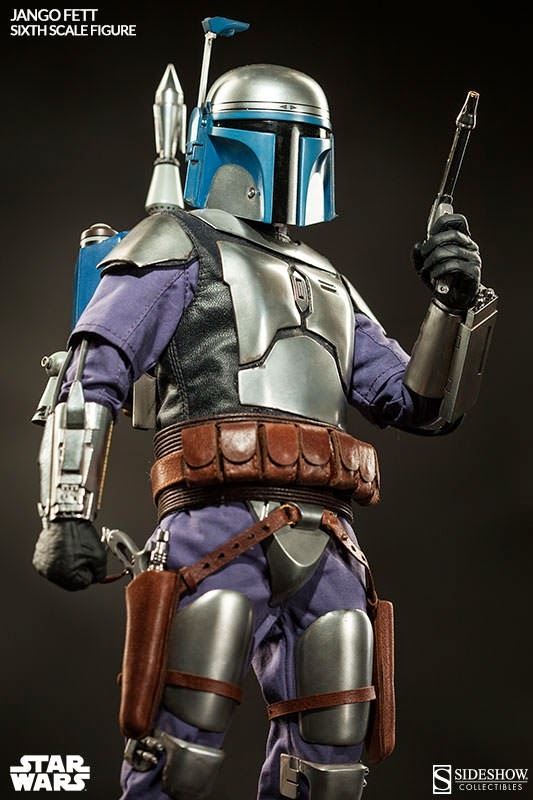 Destined to one day become the face of the Clone army, Fett’s identity can be concealed behind his iconic Mandalorian helmet, or revealed with an additional swap-out portrait complete with pilot headgear. 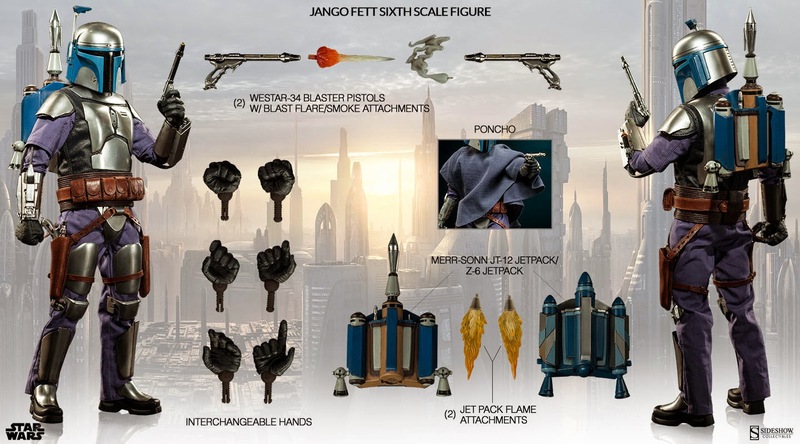 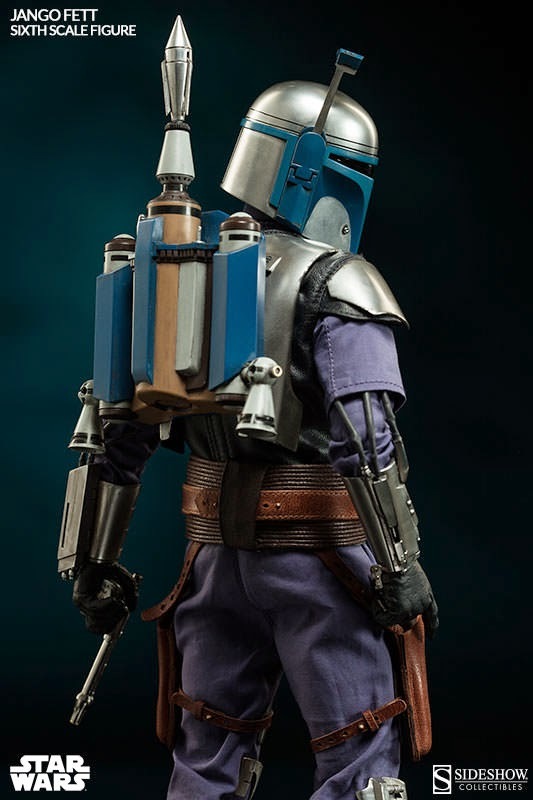 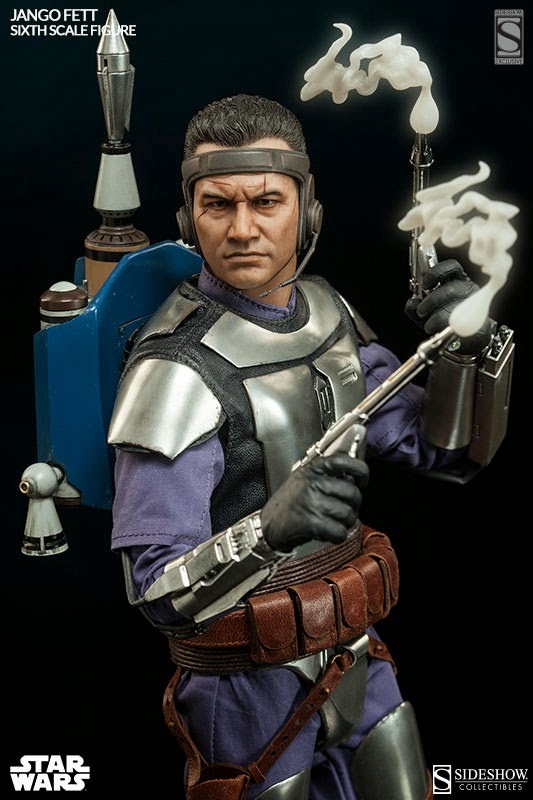 Always one step ahead of his enemies, Jango is fully equipped with his two favorite jetpack models for high-flying escapades, and trademark shiny dual blaster pistols with smoke and fire attachments. 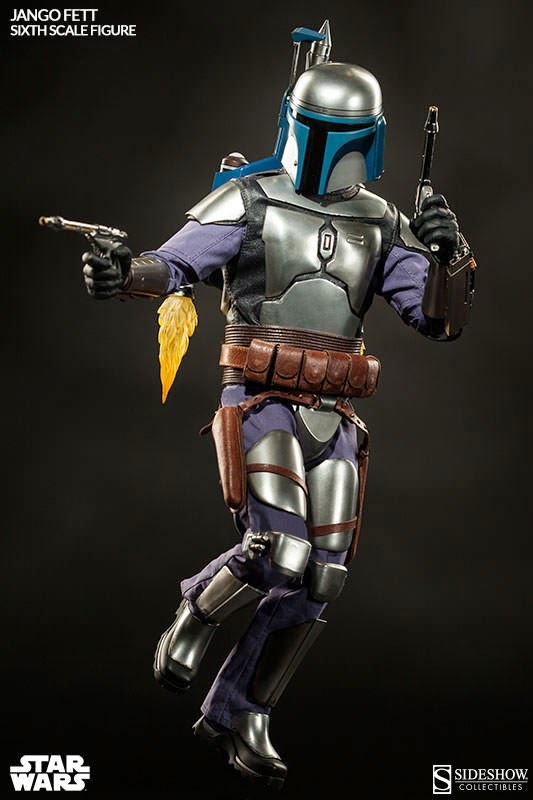 Sideshow Collectibles Star Wars Jango Fett Sixth Scale Figure is now available for pre-order.